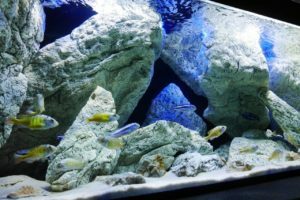 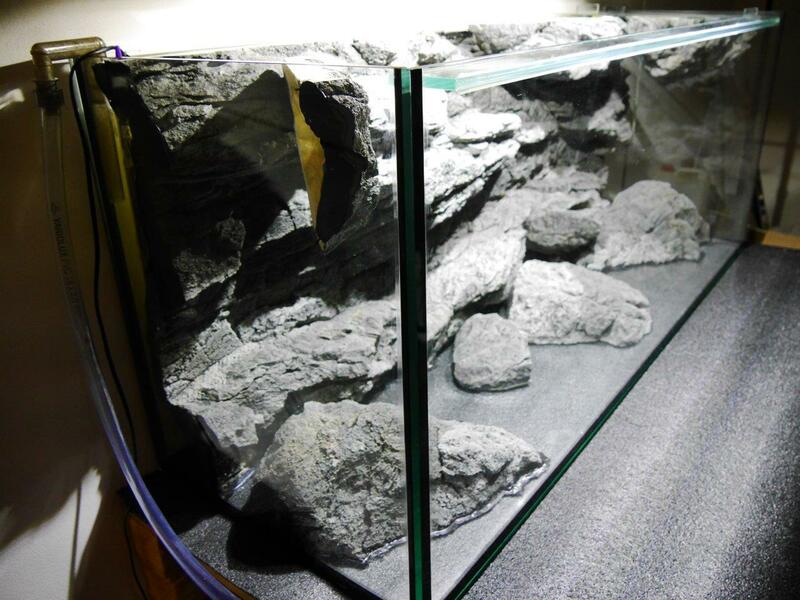 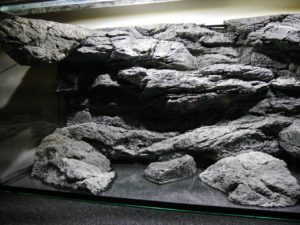 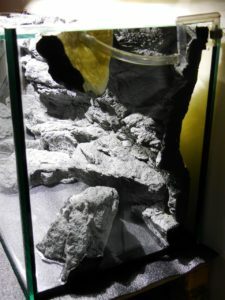 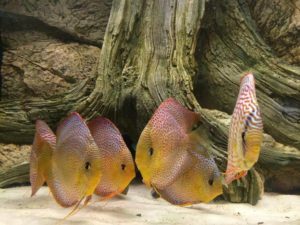 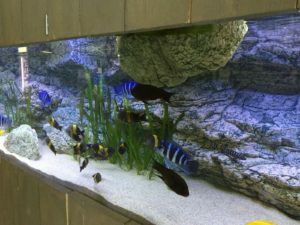 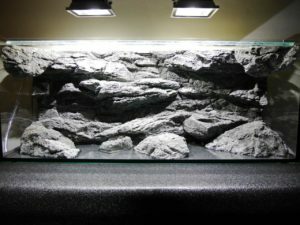 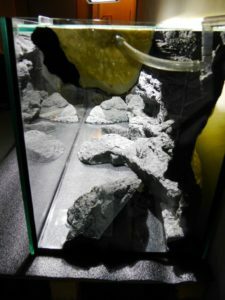 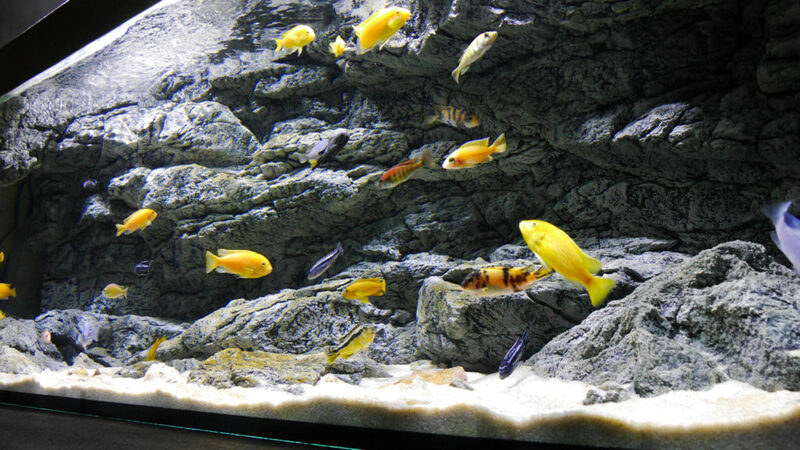 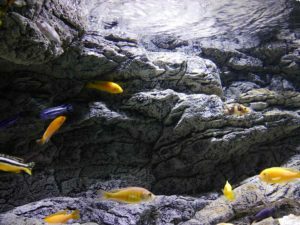 Alimar – cichlids love it! 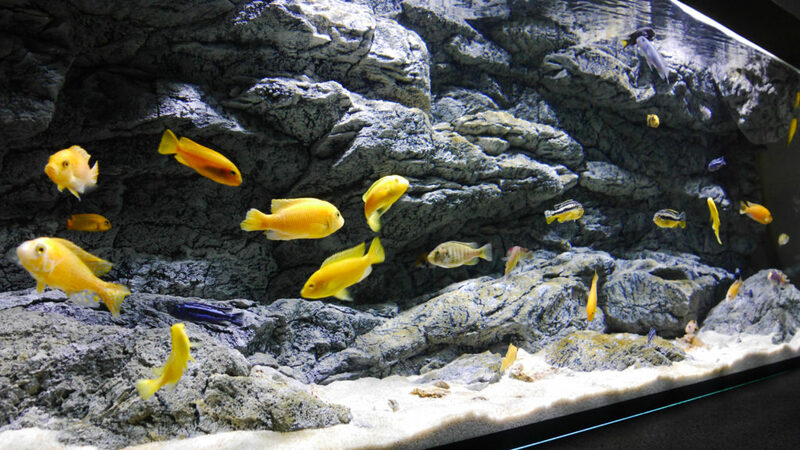 This beautiful tank with cichlids was specially decorated to show the depth and exciting 3D effect of this background. 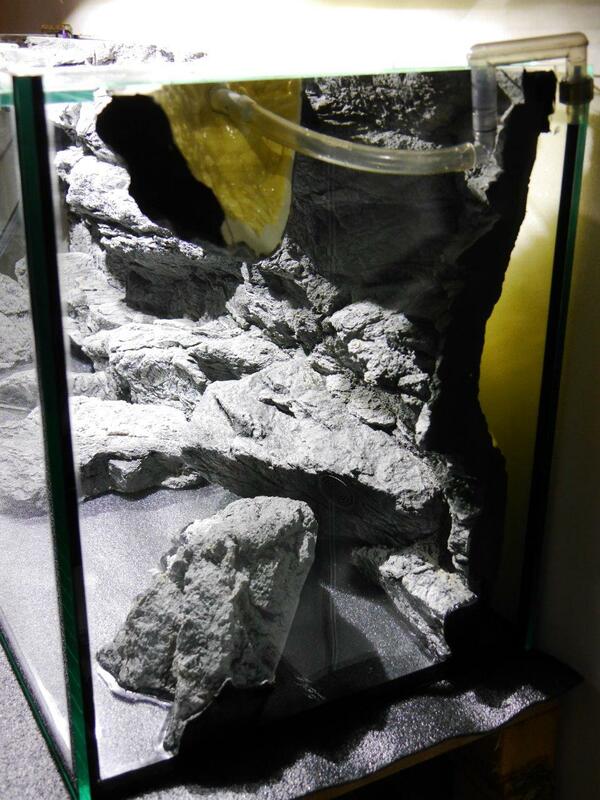 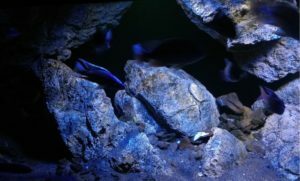 The fishes love hiding in the caves and rocks when they need some privacy. The tanks is actually 150×60 cm, thus the background was cut out of the standard 160×60 size.